Staff at The Morris County Savings Bank passed the hat for Berry after receiving a circular. 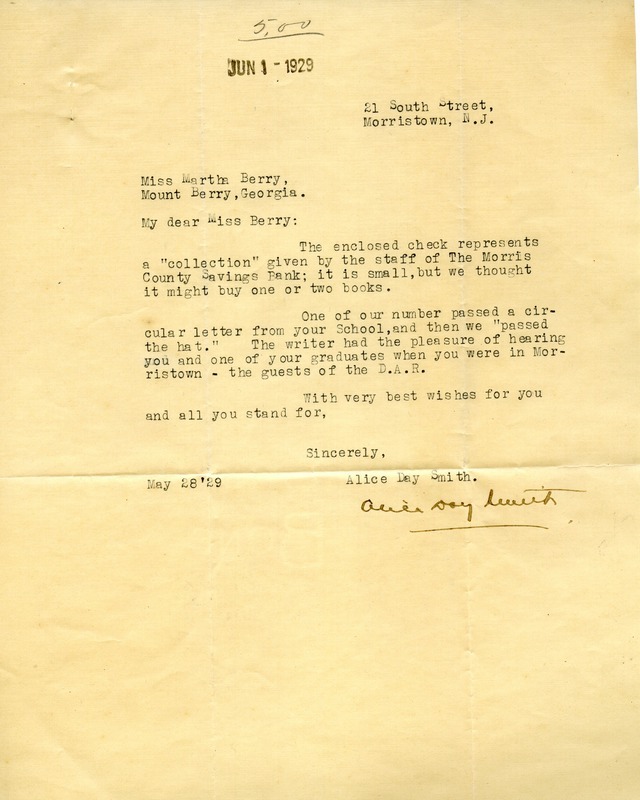 Alice writes of hearing Martha Berry speak in Morristown as a guest of the D.A.R..
Alice Day Smith, “Letter to Martha Berry from Alice Day Smith.” Martha Berry Digital Archive. Eds. Schlitz, Stephanie A., Chelsea Risley, Alan Henderson, et al. Mount Berry: Berry College, 2013. accessed April 25, 2019, https://mbda.berry.edu/items/show/11020.